The Batman of Tomorrow travels to the present to prevent a cataclysmic disaster before it happens, revealing that Superboy will soon be responsible for the deaths of millions. But Superman will do anything to protect his son...and the Batman of Tomorrow is unwavering in his resolve to take down the Boy of Steel. That's if he can find them. 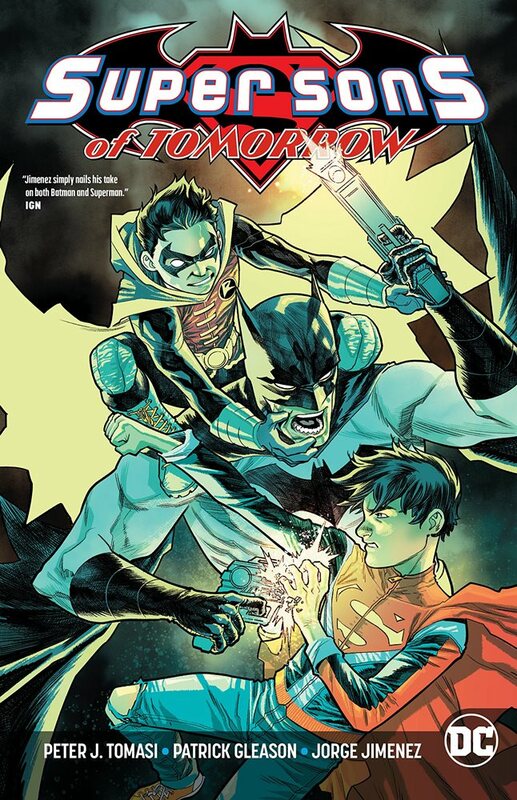 The Super Sons are on the run after discovering Superboy's dark destiny, and the Batman of Tomorrow has recruited the Teen Titans to his cause. But the reunion gives way to the big question: Is the life of an innocent child worth more than the lives of millions? It's the Teen Titans vs. the Super Sons in the battle you've been waiting for! Written by Peter J. Tomasi with art from a crew of today's best illustrators, including Francis Manapul, Doug Mahnke and Jorge Jimenez, this crossover event is a must-have for Superman, Super Sons and Teen Titans fans alike! Collects SUPER SONS #11-12, SUPERMAN #37-38 and TEEN TITANS #15.